Add new categories with just a click and upload products to your online store. Add more options such as color, size, shape, etc. Enable the availability tracking option. You can add further characteristics to each item such as accessories and supplements that will help raise the value to your products. With Shopiko you can upload unlimited number of images for each product, add a video form your YouTube channel or upload files containing important product information. 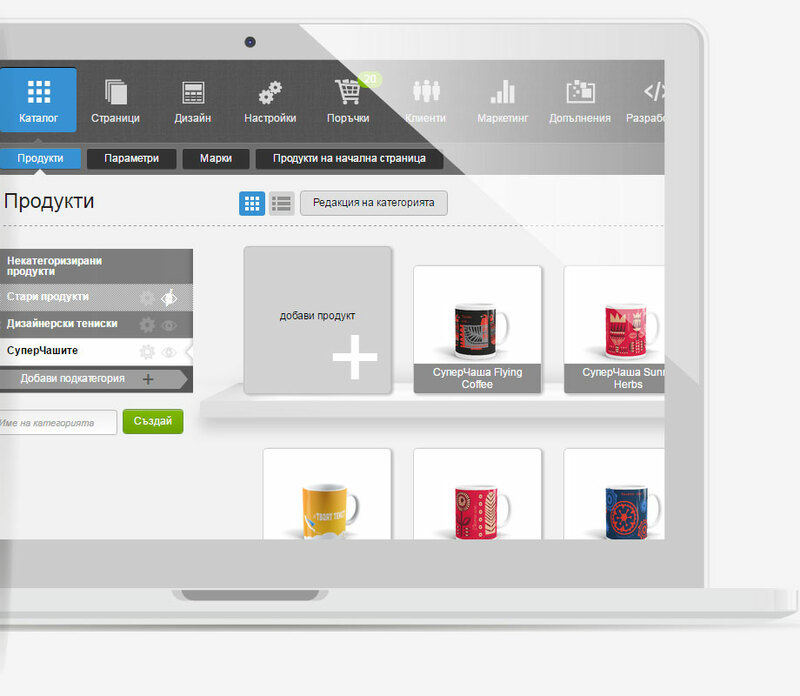 Enable the SEO module in Shopiko so as to improve your online store positioning in search engines. You can edit page URLs, add meta titles or descriptions and you can also add canonical tags. Besides, Shopiko extracts structured data from your content. That guarantees that Google will read the information from your store correctly and this will improve its positioning.